Prerequisite: ECE 210. Basic knowledge of complex numbers and linear algebra is a plus. Text: Franklin, Powell, and Emami-Naeini, Feedback Control of Dynamic Systems, 6th or 7th ed., Prentice Hall. Supplement Text: Aström and Murray, Feedback Systems: An Introduction for Scientists and Engineers. Several other supplementary texts are available in Grainger reserves. Use Instructor name or Course from drop-down list. You must obtain the lab manual from the ECE Store (1031 ECEB) prior to the first meeting of the lab, which will be the week of Sep 3. Note: At instructor's discretion, the grade break-up can be changed so that lab counts for 25% and final exam 30%. Homework is due at the beginning of class. No credit will be given for late homework. You can read the College of Engineering's Guide to Academic Integrity. We would like to receive your comments and questions about this course and any other matter you have regarding this site.  Please address comments or questions to us via e-mail at: han82@illinois.edu.